July | 2008 | YesBiscuit! SC State Senator Kent Williams’ local shelter (where he dumped his German Shepherd in March after allowing her to become pregnant while repeatedly roaming loose) has been advertising for someone to take over the shelter. A group called Paws to the Rescue who pulls dogs from the Marion County Animal Shelter regularly has submitted a proposal. The County Administrator apparently has some quibbles over the county’s financial responsibilities as outlined in the proposal. The one and only offer to take over the shelter has been sent to a committee for further review. yawn. I only hope some action is taken sooner than in the Kent Williams case – which was never, actually. I can’t help but wonder if the Mayor will attempt to represent himself in court on the animal cruelty charges – you know, assuming his license is reinstated. And if so, will there be clowns, elephants and a ringmaster? HS director off the swing and make her cry, Mayor Shenanigans has signed an affadavit calling for her arrest. The Mayor has not yet been arraigned on his charges. The Mayor gots his own blog and again, I’m hard pressed to pick just one quote but – regarding the dogs under his city’s care which he kept at the dump, he says, “Strangely the conditions at the pound have been questioned.” Yeah, totally bizarro. Cos like, what pet wouldn’t want to live at your charming city dump? Especially given all the opportunities for adoption as families stroll around the landfill looking for a companion. "We dance for laughter, we dance for tears…"
Having put joyous smiles on countless faces in his 15 years, Rookie the freestylin’ Golden Retriever, has danced his way across the Rainbow Bridge. Our heartfelt condolences to owner Carolyn Scott and to Rookie’s many friends and fans. Thanks for sharing your joie de vivre Rookie. Add me to your dance card. I have for several years now bemoaned my inability to find a summary of Juliette de Bairacli Levy‘s Natural Rearing diet for dogs on the web. Born in 1912, Juliette is an herbalist and breeder of Afghan hounds. Her wonderful book, The Complete Herbal Handbook for the Dog and Cat (originally published in 1955), does not include recipes per se, but rather discusses various aspects of feeding and does include suggested amounts here and there. The main points of her Natural Rearing diet are: feeding raw meats and bones, fasting, feeding raw milk and flaked cereals, resting the kidneys by feeding meat only 4 or 5 days per week. This is my interpretation of Juliette’s feeding recommendations. I hope it will be a useful reference and for those unfamiliar with Juliette’s work, perhaps it will spark interest in reading her pioneering book for yourself. One day per week: meatless meals using raw milk, eggs, white cheese, cottage cheese, whole-grain flaked cereals, rice, cooked beans and/or lentils. You will note that she mentions feeding raisins to her dogs daily. Raisins now appear on many “foods toxic to dogs” lists although Juliette probably scoffs at this. I am not recommending feeding raisins to your dog but felt it was important to include them in my summary since Juliette specifically notes the information. There is so much more to Juliette’s book than my summary interpretation posted here. It is very interesting reading and I highly recommend it for anyone interested in natural dog and cat care. The Marion County shelter in Florida closed today so they could kill 84 dogs with contagious diseases such as Parvo, Kennel Cough and Canine Flu. No word on why some or all of the 84 couldn’t be medically treated and restored to health, especially since some of the dogs being killed are symptom free. On the opposite coast, volunteers at a shelter in San Luis Obispo County, California told a local newspaper (on condition of anonymity since their bosses don’t want them talking to the media) that dozens of cats have died from or been euthanized for Distemper in recent weeks. 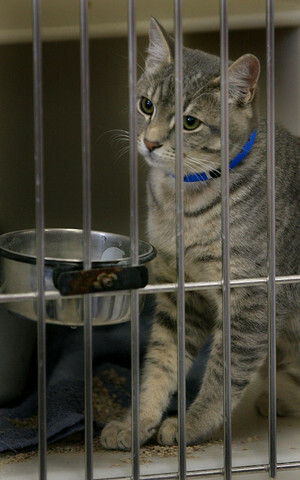 “Both volunteers said they believe the shelter was slow to implement an effective quarantine, and both volunteers said members of the public and inmates from the honor farm, who assist at the shelter, were still recently observed entering the supposedly quarantined area, without precautions in place to prevent the spread of the disease. The shelter director’s response? He said they are not required to make such outbreaks of disease known to anyone. And I guess that’s good enough for him. It will be interesting to read the Humane Society’s report on this shelter, expected this month. Full article here. 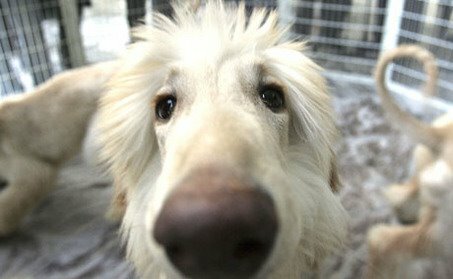 Lassie, Get Help gives us her take on identifying “good” and “bad” family dogs by breed. Good reading and here’s a teensy spoiler: the words “Holy Crap” are featured prominently at the beginning of the post, hehe. Recipes: I LOVE baking for the dogs. If I didn’t have to work for the money to buy ingredients, I’d prolly bake all day, every day. So I’m always on the lookout for new recipes to try. Petville has one for Peanut Butter Biscotti that sounds fun. And Petdoc posted one of my recipes for a kibble type dinner. PetConnection has some SuperExcellentFantastic ideas on what could be done with Leona Helmsley’s $8 billion estate gift to canine welfare. I hope something good is done with the money, as opposed to having it sit in a bank account for decades while lawyers argue about it. Holy Stupidity BatMom! Worms and Germs has a couple good bits on bats and Rabies including a Mom who got into trouble when one of the family’s pet bats bit her son. Sooooo – how’s that going? In other FDA news, the transcript from the blink-and-you-missed-it “all day public meeting” regarding pet food standards is available for download in pdf format. It doesn’t take too long to read because you can skim over all the good ol’ boy chatter and cut straight to the only voice we consumers had at the meeting: Mike Floyd from Defend Our Pets. (Take their survey on pet food safety here.) His comments are straight talk on what consumers want and need from the pet food industry. Thank goodness he was there because after he spoke, the FDA shut down this supposed all day public meeting citing lack of attendance. Well FDA, some of us actually have to work for a living and can’t necessarily get an entire weekday off. So to my mind it’s certainly plausible that some people were planning to attend your all day public meeting – you know, when they could get there, which may have been more than 90 minutes after the meeting started – which is when you closed the thing down. So while the FDA touts this as a community outreach activity, I would describe it as a business-as-usual-activity. Newsflash: We’re going to have to do a lot better to fix the problems in our food safety system. For humans and pets. Because the status quo ain’t workin’. “As far as this crime thing, there was no crime committed,” said Mayor Set-Them-Free of Arkansas to the City Council as they debated a resolution to support the Mayor, who now has a warrant out for his arrest on charges of animal cruelty. Right. Well sure it’s not a “crime” in the sense of say, detaining hundreds of prisoners indefinitely without trial. (Which is a crime, btw. In case anyone is paying attention.) But it is a “crime” in the sense that it’s a violation of the laws of the state of Arkansas (“cruelty to animals” and “obstructing the prevention of cruelty to animals”) and the federal laws of the United States (abandoning animals on public land). No one, not even Mayor I-Am-Not-A-Criminal, has the right to dump shelter dogs in his city’s care at a National Forest. The resolution failed to pass because only 4 of 9 members were on board. Kudos to the 5 council members who effectively said “Whaaaaaa?” when asked to vote their support for the resolution. The Mayor will get his day in court (tentatively set for July 11 in Helena-West Helena District Court) to face the two misdemeanor animal cruelty charges. No word yet on any federal charges. Meanwhile, 4 of the abandoned dogs have been rescued by a recovery team. Meet Jasmine. Jasmine or “Jazzy” as she is lovingly referred to at the shelter is such a sweet girl. She is a graduate of the Dog Trainers Workshop in the Upstate and is also a graduate of Project Pet basic training. We’re not sure why she hasn’t found her forever home except that perhaps her size is intimidating. 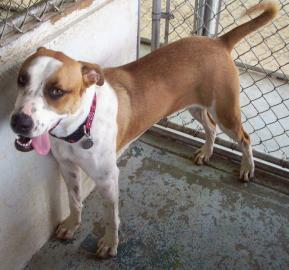 She is a very tall hound mix and is quite strong. Unfortunately because she has been in the shelter so long she is starting to become depressed and is losing weight. 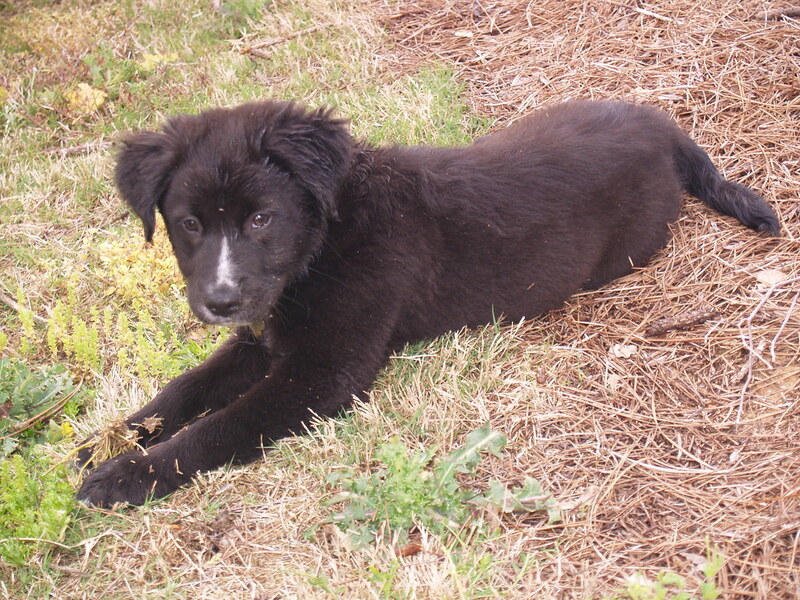 If you can help, please contact Blair at bsalmon@projectpet.com or call Project Pet at (803) 407-0991. Note from me: Jazzy is approximately the height of a Weimaraner and has been in the shelter for 8 months. She needs a break. They would like to see her adopted but would be happy just to get her into a foster home for right now. She looks like a sweetie.